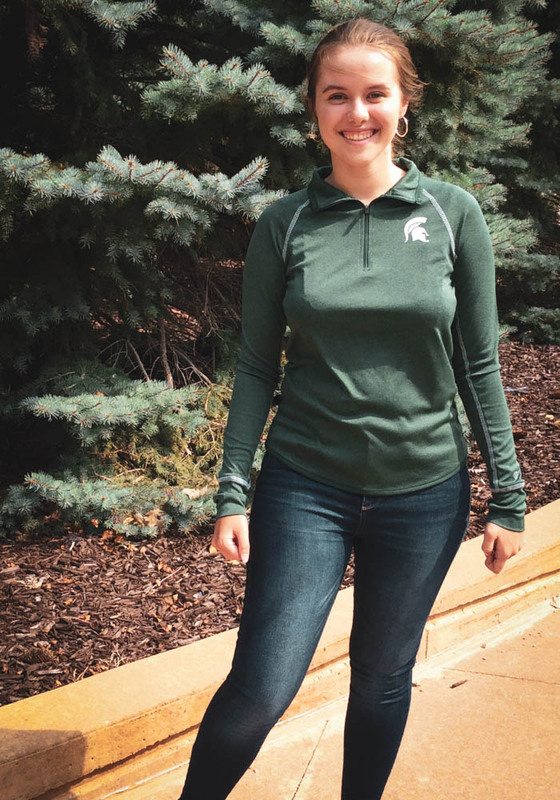 Show your Spartans spirit in this Michigan State Spartans Long Sleeve 1/4 Zip. 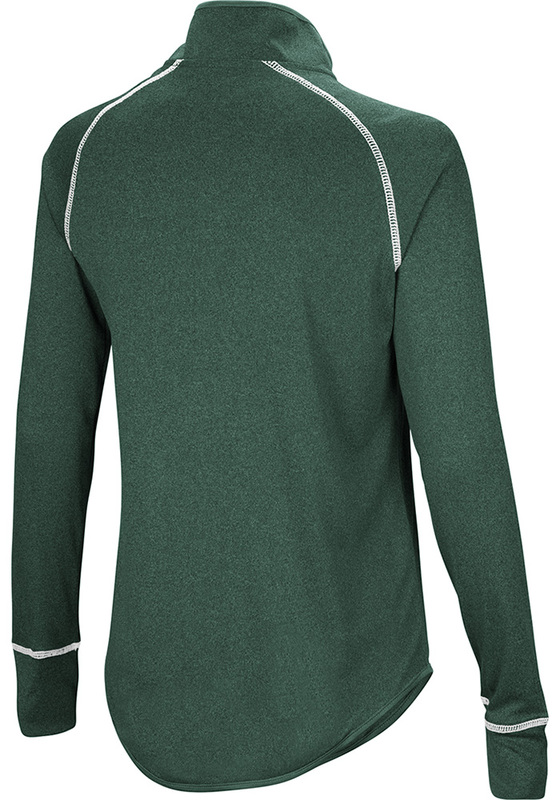 This Womens Green Kit Long Sleeve Pullover features a rubberized print team graphic on left chest. 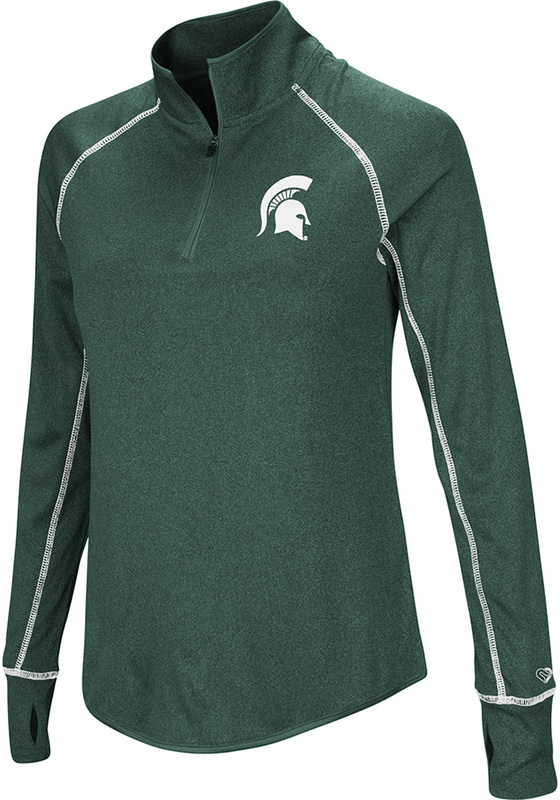 You'll want to wear this Michigan State Spartans Long Sleeve 1/4 Zip every day.